This is your first day in the safari. 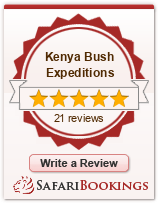 Our driver will pick you up from your hotel or airport and proceed to Maasai Mara. The group will stop at the Great Rift Valley view point for photo session and later proceed arriving in time for lunch. Afternoon game drives will later follow returning to your lodge for dinner and overnight stay. You will wake up early in the morning headed to Nakuru national park with one or two stops on the way. Your group arrives at MIALE hotel in time for lunch and relaxation. The driver will pick you up at your lodge for afternoon game drive at Lake Nakuru national park. Return to your lodge for dinner and overnight. Day…… 4 AA lodges. You will wake up early in the morning headed to Amboseli national park with one or two stops on the way. Your group arrives at AA lodges Amboseli in time for lunch and relaxation. The driver will pick you up at your lodge for afternoon game drives and later return for dinner and overnight. Spot the biggest herds of Elephants in this park. Day 6…..Ngulia safari lodge. After your breakfast, the group will join other vehicles headed to Tsavo west national park for a security convoy. It is a routine for vehicles headed to Tsavo west to be escorted by security but this is just for precaution and no threat at all on the way. You arrive in time for lunch and relaxation. Afternoon game drives and overnight. Day 7…Voi safari lodge. The group will depart for Tsavo East national park via game drives. You exit Tsavo East and arrive at Voi safari lodge in time for lunch. You have a chance to swim before the afternoon game drives starts. Visit the Aruba dam where the animals mostly concentrate for quenching thirst. This is the park famous for man eaters of Tsavo. This is your last day in the safari. You depart after your breakfast and via game drive arriving in Mombasa in time for lunch. Drop at your lodge.